In the past 30 years always in September Cervo has developed into a meeting place for young musicians from all over the world with lecturers of international status. Therefore the summer academy of Cervo can look back at a rich and exciting history. With pleasure we can see again and again that graduates of the academy prove themselves as soloists in the hard competition of concert life or gain leading positions as professors at universities and concertmasters or soloists in important orchestras. 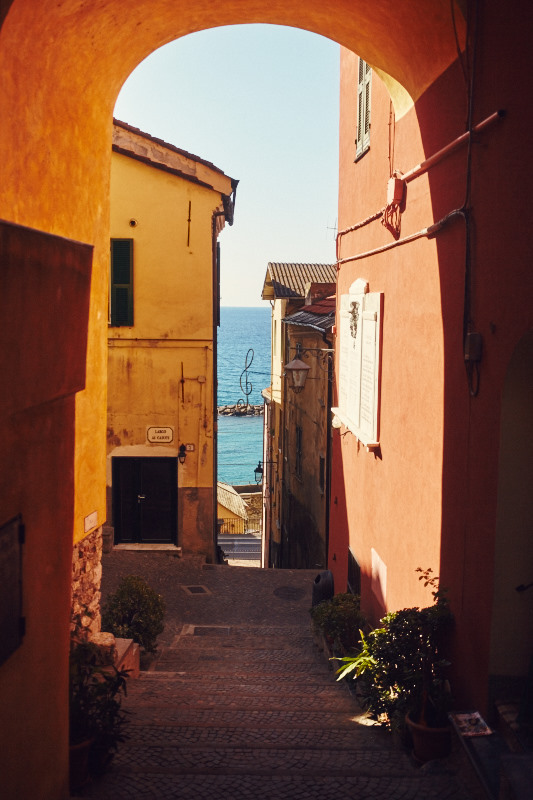 The incomparable atmosphere of the old part of Cervo has always fascinated the students and contributed to the creation of a spirit of friendship and teamwork that in two weeks often created exceptional performances. A big “Cervo music family” has developed, that lives together here, making wonderful music and also includes the competent and interested audience. We thank the community of Cervo, the district of Imperia and the region Liguria for their long standing cooperation. At the same time we say thanks to everyone, who has filled with their collaboration the academy with life and substance, first of all my wife Elfe von Arnim, who died in 2004 and who was the heart and soul of the academy for a long time. Without her tireless effort during the first years the academy would not exist today. Music for romantic window blinds. Music, which connects itself with the Italian summer. I warmly support the idea to offer young musicians a forum, which enables them to experience a meeting of different cultures and musical ideas, through learning, performing and living together. I therefore hope that the Summeracademy Cervo will remain the meeting ground for young european musicians in the future, and that the Academy concerts from the festival participants will form a link between the Liguria region and young musicians from Europe and the rest of the world. I hereby warmly welcome the organization, the teachers and the young musicians of the International Summeracademy to Cervo. With enthusiasm I welcome the return of the talents, that each year allow the small city of Cervo to be distinguished as "music village", to a place where the music finds it's way through the Ligurian alleys and squares and makes Cervo an omitted and enchanted town. The summer academy is an ideal extension of the chamber music festival, joining the international successes of different nationalities, cultures, languages, professional and human experiences, which enrich our everyday life. So a lot of thanks to all the teachers, the young talents, to Cervo, which offers facilities for the concerts, and thus supports the chance for musicians and people to enjoy the inspirations of friendships and meetings of different cultures. The master classes are open to professional musicians and music students. Acvtive participation may depend on an audition. Participation as an auditor is possible. It is valid for all courses, also active participants are allowed to listen to other courses for free. There will be 12 public concerts held by Academy professors as well as participants. The final Concert will be played by a chamber orchestra, which will be formed by students of the string classes. The participation is obligatory. The soloists for this concert will be chosen by the professors of the different classes during the course. Participants (violin, viola, cello, piano and voice) will be informed of the concertos to be played in time in advance. The program prepared for the courses must be indicated in detail at the time of application. During the course the student will receive four lessons. Languages of courses: German, English, Italian, French. With the registration, the registration fee must be payed to the bank account of the “Sommerakademie Cervo” by bank transfer (free of charge for the receiver). End of registration 15.7.2019. Only after the payment of the registration fee is received, confirmation of registration will be sent. The registration fee cannot be refunded in case of withdrawal (preventing or missing the deadlines). Tuition Fee € 380,00 + Accommodation € 280,00 The tuition fee as well as accommodation must be paid to the bank account of the “ Sommerakademie Cervo” by bank transfer ( free of charge for the receiver) by 15.8.2019 at the latest. If payment terms for tuition fees or accommodation are not complied, participation in the course cannot be guaranteed. In case of withdrawal the Academy cannot refund the accommodation fee of € 280,00 because of contracts with the landlords. Chamber music: one tuition fee and the corresponding number of registration fees depending on the size of group (e.g.. string quartet: 4 registration fees and 1 tuition fee). Important: in bank transfer the use of the name and the surname of the student must be stated. 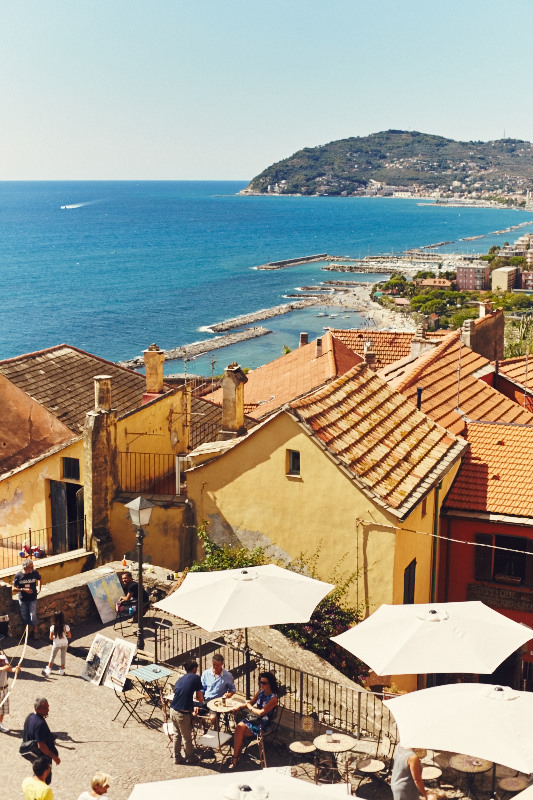 Accommodation of students will be arranged by the Academy in private apartments/houses usually in living communities in single, double bedrooms or dorms in Cervo. If a student wishes to stay in a Hotel he/she has to inform the secretary of the Academy. The room rent shall be his/her sole responsibility. A student participates on his/her own risk. The Academy does not incur liability for anything. N.B. In case of disagreement on the interpretation of any of the above, the German text will apply. I agree for my number to be added to a messenger group, through which all students of the Summer Academy 2019 will receive updated information during the master classes. The numbers will be visible to all group members. Participants are not entitled to study with a particular teacher. The applicant will be assigned to a lecturer only after a preliminary audition in Cervo. The artistic director, together with the teachers, will try to take in account the wishes of the participants. Please do contact us via e-mail, in particular to provide information regarding detailed questions. +49 (0) 177 337 8842 Monday, Tuesday and Friday from 4 pm to 5.30 pm. 0039 0183 40 64 62 - int.3. Please first read the General Conditions. 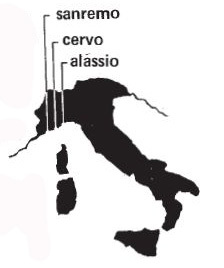 Cervo is located between San Remo and Alassio in Liguria, Italy. TThere are regular railway connections from Nice, Genoa and Milan to the new DIANO railway station located outside the Diano Marina town centre. He successfully completed his studies in Heidelberg (Bruno Masurat), Cologne (Max Rostal) and afterwards in the USA (Josef Gingold, Ivan Galamian). He has been an integral part of the international concerts since 30 years working with orchestras such as the Berlin Philharmonic Orchestra, New York Philharmonic Orchestra, Staatskapelle Dresden, Tonhalle Orchester Zürich, Wiener Symphoniker, BBC Symphony Orchestra, Orchestre National de Paris etc. He played with famous conductors as Andrew Davies, Rudolf Kempe, Bernhard Klee, Kurt Masur, Vaclav Neumann, Marek Janowski, Horst Stein, Jeffrey Tate, Klaus Tennstedt and Hans Vonk. He made CD productions of the most important concerts such as of Beethoven, Berg, Bruch, Schumann, Mendelssohn, Korngold, Saint-Saens, Strass, Schoeck, Spohr, Tschaikowsky and Wolf-Ferrari.From 1981 to 2010Ulf Hoelscher was Professor for violin at the Hochschule für Musik Karlsruhe. 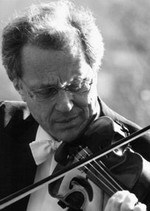 Prof. Stephan Picard, born in Barcelona, received his first violin lessons at the age of ten from Gustav Mikulai in Bonn-Bad Godesberg, studied as a junior student at the Folkwang Academy in Essen, where he was taught by Prof. Saschko Gawriloff, and then studied at the Freiburg Academy of Music with Prof. Wolfgang Marschner. Stephan Picard completed his diploma in performance at the Hanover Academy of Music and Drama with Prof. Rami Shevelov. Further studies took him to Prof. Valery Gradow in Essen, Prof. Stefan Georghiu in Bucarest and Prof. Roman Nodel in Hanover. From 1987 to 1988 he completed postgraduate studies (concert exam) with Prof. Roman Nodel at the State Academy of Music Heidelberg-Mannheim. Stephan Picard was prizewinner in the national competition ”Jugend musiziert”, the International Music Competition Maria Canals Barcelona and Concorso Internazionale di Violino Premio Rodolfo Lipizer in Gorizia as well as prizewinner and scholar of the German Music Competition. Frequently invited to perform and teach internationally as chamber music partner and soloist. He is a member of the Michelangelo String Quartet with Mihaela Martin, Nobuko Imai and Frans Helmerson, which performs regularly on the international stage. He plays a Stefan-Peter Greiner violin from the year 2006. 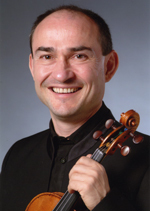 Since 1995 Stephan Picard has been Professor of Violin at the Academy of Music Hanns Eisler Berlin. Erika Geldsetzer, born into a family of musicians, comes from Betzdorf, Rheinland-Pfalz. As prestudent she was accepted at the Music Academy Cologne (Musikhochschule Köln), where she graduated with Prof.G.Peters and went on to study in Karlsruhe with Prof. Ulf Hoelscher, postgraduate in London at the Royal Academy of Music with Erich Gruenberg and finished her studies in Vienna with Prof. Gerhard Schulz. As a former scholar of the Villa Musica she took masterclasses with Maria Egelhof, Igor Ozim, Michael Gaiser, Mikhail Bezverkhny, Misha Katz, Jörg Wolfgang Jahn, Wolfgang Güttler, Enrique Santiago, Bernhard Hartog, Wolfram Christ, the Alban Quartett as well as the Amadeus Quartett. 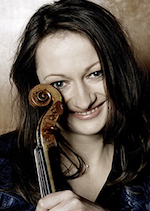 As a soloist, Erika Geldsetzer played all the major concertos with orchestras such as the Rundfunksinfinieorchester des SWR Kaiserslautern, the Philharmonia Romania, the Landesjugendorchester Rheinland-Pfalz, the Südwestfälische Philharmonie, the Tonart Orchester Heidelberg as well as the Capella Classica. She gives masterclasses for violine in Karlsruhe, Rostock, Bonn, Sondershausen, London (England), Manchester (England, Montepulciano (Italy) and Melbue (Norway). In 1995 she founded the Fauré Quartett (piano quartet). Since then, the quartet enjoys a highly successful career and has played in all major concert halls as well as various festivals around the globe, such as the Schleswig Holstein Musikfestival (Germany), Festival de Radio France Montpellier (France), Musikfestival Mecklenburg Vorpommern (Germany), Maenttae Music Festival (Finland), Martha Argerich Festival Buenos Aires (Argentina) and Enescu Festival Bukarest (Romania), as well as the main concerthalls such as Wigmore Hall London, Philharmonie and Konzerthaus Berlin, Lincoln Center New York, Teatro Colon Buenos Aires, Izumi Hall Osaka , Alte Oper Frankfurt and Snape Maltings Concert Hall Aldeburgh. The quartet recorded major works of the piano quartet literature with Deutsche Grammophon, such as quartets by Mozart, Brahms and Mendelssohn. For the Brahms recording as well as a recording of popsongs the quartet won two “Echo Klassik”, the most prestigious record price in Germany. The latest CD with works by Richard Strauss and Mahler was released in March 2014 with Sony Classics. It contains original works for piano quartet as well as special arrangements for piano quartet and Soprano, sung by Simone Kermes. Since 2014, Erika Geldsetzer has a teaching position at the Universität der Künste Berlin (University of the Arts, Berlin). Jean Sulem was born in 1959 and studied with Serge Callot at the Conservatoire in Paris. In 1981 he was appointed by Pierre Boulez to soloviolist in the Ensemble Intercontemporain. 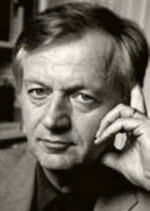 Jean Sulem is a outstanding solist in the modern music field, and many composers dedicated works to him. In 1981 he was founder of the Rosamonde Quartet and sinds then performs during many international festivals in Europe, Russia, America and Australia. In 1989 he became Professor at the Conservatoire in Paris. Jean Sulem gives numerous masterclasses in Europe and America and is invited as a jury member for international competitions. Troels Svane studied with David Geringas at the Musikhochschule Lübeck, Germany. He graduated from the soloist class with distinction and the highest grade in all subjects. Furthermore he was taught by Anner Bylsma, Frans Helmerson, Ralph Kirshbaum, György Ligeti, Yo-Yo Ma, Siegfried Palm, Boris Pergamenschikow, Mstislav Rostropovich, Daniil Shafran, Paul Tortelier and the Amadeus Quartet. After high school he was appointed co-principal cellist of the Copenhagen Philharmonic at the age of 18. He won prizes at national and international competitions and received numerous scholarships. As a soloist he has performed with most Danish orchestras and with orchestras in England, Germany, Holland, Italy, Latvia, Lithuania, Sweden and Switzerland. As a recitalist and member of the Copenhagen Trio and the Menuhin Festival Piano Quartet, Troels Svane played concerts all over Europe, Australia, Asia, South America and the United States. He performed with Yuri Bashmet, Thomas Brandis, Zakhar Bron, Ulf Hoelscher, Karl Leister and the Zehetmair Quartet. He has recorded more than 40 CD’s including the complete works for cello and piano by Beethoven, Rachmaninov and Reger. 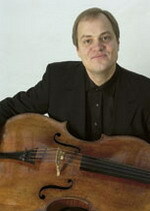 Troels Svane was the assistant to David Geringas for 11 years before he was appointed professor for violoncello at the Musikhochschule Lübeck in 2004. Furthermore he has a celloclass at the Hochschule für Musik ‘Hanns Eisler’ Berlin. He has given masterclasses in Australia, Asia, Ukraine, South America and in numerous European countries and was a jury member at international competitions. His students were prize winners at competitions like the Rostropovich Competition in Paris and the ARD Competition in Munich. As the only German musician to date, Gustav Rivinius was awarded the 1st Prize and the Gold Medal at the International Tchaikovsky Competition in 1990. Since then he performs as a soloist around the world with leading musicians, orchestras, and conductors. He is equally passionate about chamber music. He founded the trio Gasparo da Salò, the Arkas Trio, the Rivinius Piano Quartet, the Tammuz Piano Quartet and the Bartholdy Quintet, and is a sought-after guest at major music festivals. In these he plays regularly with Lars Vogt, Christian Tetzlaff, Antje Weithaas, Isabelle Faust, and Sharon Kam among others. Numerous CD recordings attest to his artistic activity. Gustav Rivinius has been teaching as a professor at the Saar Music Academy for many years. He gives annual masterclasses and was a juror at the 2011 International Tchaikovsky Competition. Arnulf von Arnim, born in 1947 in Hamburg, studied in Frankfurt, Stuttgart and in Paris with Pierre Sancan. He took masterclasses with Claudio Arrau and Wilhelm Kampff and won prizes at international music competitions. He won 1st prizes at the “Viotti” Vercelli competition and the “Maria Canals” competition in Barcelona. He was also awarded prizes at the “Bussoni” competition in Bozen Geneva. Arnulf von Arnim toured through most Europe, the USA and Japan with different orchestras. He was frequently broadcasted on the radio and television, and recorded numerous LP’s. As a chambermusician he worked together with Frank Peter Zimmermann, Ulf Hoelscher, Saschko Gawriloff, Vesselin Paraschkevov, Kurt Nikkanen, Kurt Guntner, Paul Rosenthal, David Geringas, Ivan Monighetti, Julius Berger, Ventseslav Nicolov, Rainer Moog, Jean Sulem, the Brodsky-Quartet and many others. Arnulf von Arnim is professor at the Folkwang-Hochschule Essen and guest professor at the Musashino-conservatory in Tokio. 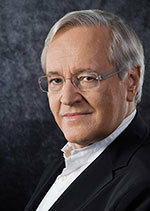 In addition he is the artistic director of the international Schubert-competition in Dortmund. He gives Masterclasses in Europe, Japan and the USA and is invited frequently as a jury member in international piano competitions. In 1989 Ian Fountain became the youngest winner of the Arthur Rubinstein Piano Masters Competition in Tel Aviv at the age of 19. He was educated as a chorister at New College, Oxford and later at Winchester College. He studied piano under Sulamita Aronovsky at the RNCM. Since that time he has enjoyed a wide-ranging and varied career, performing extensively throughout Europe, the USA, the UK and the Far East, with orchestras such as the London Symphony and Sir Colin Davis, the Israel Philharmonic and Zubin Mehta, and the Czech Philharmonic and Jiri Belohlavek. He has also performed with the Deutsches Symphonie-Orchester Berlin, the Philharmonia, London Philharmonic, Halle, CBSO, Vienna Chamber Orchestra, Singapore Symphony and Utah Symphony amongst many others. In Moscow he was invited to open the 1992/3 season of the Moscow Conservatoire and in Poland he marked the 150th anniversary of Chopin’s death by playing both Chopin Concertos in Krakow. As recitalist, he has performed in major centres such as New York, Chicago, Paris, Berlin, Madrid, and Jerusalem. He is a regular guest of international festivals such as Prague Spring, Berlin, Schleswig-Holstein, Enescu (Bucharest) and Kuhmo. He has performed an extensive repertoire of over 60 concertos, including the complete cycle of Mozart Concertos. As a chamber musician, he enjoys many long-standing collaborations with musicians such as David Geringas, Ulf Hoelscher, and the Mandelring and Emperor Quartets, performing in concerts and festivals throughout Europe, Japan and Korea. He has also in recent years embarked on performances as a conductor, in which role he has developed a close relationship with the Israel Chamber Orchestra. Recent performances include concerts with the Hungarian Philharmonic and Zoltan Kocsis in Budapest, the Enescu Philharmonic and Cristian Mandeal in Bucharest, Deutsche Kammerphilharmonie Bremen and Paavo Jarvi in Japan, the London Chamber Orchestra and the Armenian Philharmonic in Yerevan. 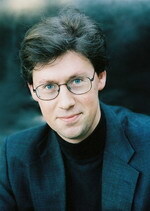 Ian Fountain has made several critically acclaimed recordings, including for EMI (20th Century Piano Sonatas), CRD (Beethoven Diabelli Variations), and for Sony and Haenssler Classics the complete works for cello and piano of Beethoven, Chopin and Mendelssohn and Rachmaninov with the cellist David Geringas. In 2008 he collaborated in the preparation of the present editions of Beethoven Sonatas and Variations for Piano and Cello published by Henle Verlag, Munich. 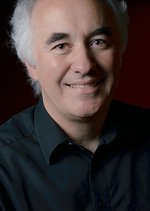 Since 2001, Ian Fountain has been a piano professor at the Royal Academy of Music, London. He holds an annual summer masterclass at the Accademia di Cervo, Italy, and further masterclasses around the world. He has served on the juries of international piano competitions, including at the Arthur Rubinstein Competition in 2011. The american soprano Klesie Kelly-Moog studied at the Wisconsin University-Madison with Bettina Björnsten and at the Nordwestdeutsche Musikakademie-Detmold with Helmut Kretschmar and Günther Weissenborn. Intensive concert activity and opera engagements led her throug all of Europe and Japan. She has performed with conducters such as Moshe Atzmon, Erich Leinzdorf, Bruno Maderna, Hiroshi Waksugi, Wolfgang Gönnenden. 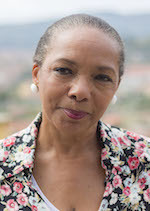 Klesie Kelly-Moog was Professor for voice at the Muikhochschule-Köln from 1986-2014. She gave vocal work-shops at Musikhochschule in Hannover, Würzburg, Trossingen and Köln. She gives Masterclasses in Europe and in Korea. Several of her studends have been awarded at International competitions and are members of leading opera companies in Europe. She presently has a guest professorship at the Hochschule für Musik und darstellende Kunst in Frankfurt am Main. David Geringas, born 1946 in Vilnius, is a world-renowned Lithuanian cellist and conductor who studied under Mstislaw Rostropowitsch. In 1970 he won the Gold Metal at the International Tschaikowsky Competition in Moscow. 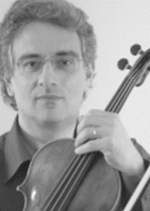 David Geringas will give a Guest Masterclass the 5 th September 2019 from 10 a.m. untill 2 p.m. in Cervo for 4 cellists who will be selected by the Cello teachers of the International Summer Academy of Cervo 2019.